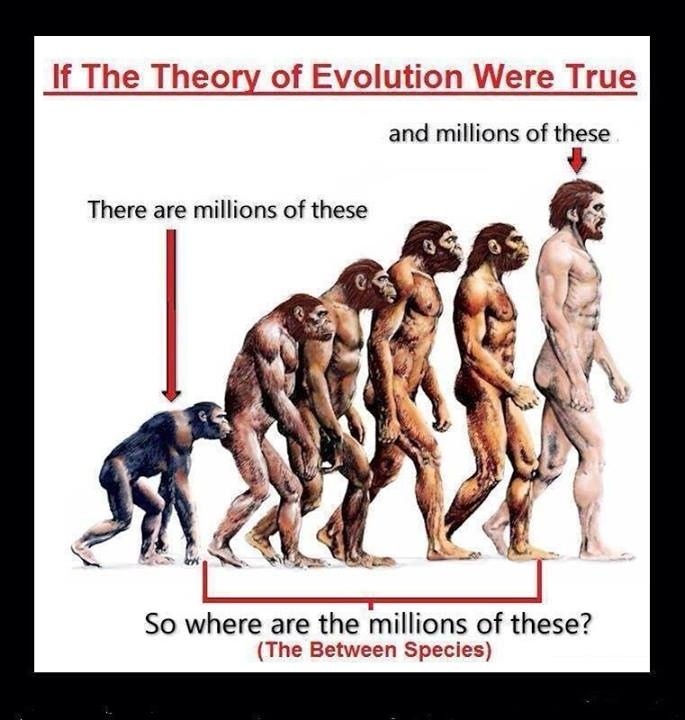 While human evolution is very much still the subject of active research, the fact of human-ape common ancestry and large-scale evolutionary trends such as increasing cranial capacity and a trend from facultative to obligate bipedality are beyond doubt, and any special creationist assertion to the otherwise is false, and betrays a considerable ignorance of the evidence. Thank you very much. I found that meme on an internet search and was outraged by the ignorance that people have on this subject. I truly appreciate your posting. Hopefully with the use of modern technology and the current generation Y (or rather, "Why? "; they seem to question everything) a better understanding of the scientific basis and explanation of human evolution will spread.